When you’re searching for a car dealer near Jenkintown, PA, you’ll be happy to hear that Sussman Kia is just a short drive away from you. We have a wide range of new and used cars for sale. Plus, our friendly team will help you through the simple financing process—and we’ll still be here to help out when your new car is due for service. It may be known for The Goldbergs and Bradley Cooper, but Jenkintown is a place with small-town charm despite its proximity to Philadelphia. From the annual Fourth of July event to the Festival of the Arts, community members love coming together to celebrate. Celebrating something in your own life? Head to the Borough Brewhouse or The Drake Tavern with friends. When you’re looking for a vehicle to take your young kids to their school activities or to carry you to the Hiway Theater for a weekly date night, drop by our car dealer near Jenkintown, PA. Regardless of what kind of vehicle you’re looking for, our extensive selection has something for every lifestyle. 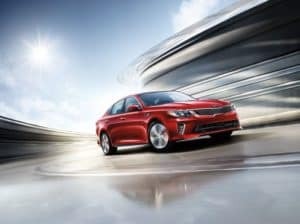 For your daily commute, check out the Kia Optima or the more compact Kia Forte. When you need more passenger and cargo space, try the Kia Sorento. Perhaps, you just want pure excitement—in which case, the Kia Stinger is for you. Not interested in a Kia? No problem! We also have a diverse range of certified pre-owned cars from different manufacturers at our dealer near Jenkintown. Click through our online inventory to see what’s available. If you don’t see something you’re interested in, fill out our no-obligation vehicle finder form, and our friendly sales team will be in touch to help you find the perfect car. 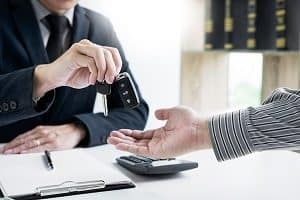 The next step in the car-buying process is getting approved for an auto loan—which is easy when you come to our dealer near Jenkintown. Our finance experts are on hand to guide you through the process, so you can drive your new car home today. If you’re looking to get ahead of the game, you can even fill out our secure online finance application to get pre-approved before you leave your house. We have over 50 years of experience, which means we can help you find a payment plan, no matter what your credit is. For more information about our financing process, call our finance department today. In the meantime, check out our handy online tools that allow you to value your trade-in or estimate your monthly payments. Routine maintenance is an important part of car ownership, whether you’re driving a brand-new vehicle or a certified pre-owned one. Fortunately, we offer a fully equipped service center along with highly trained technicians to provide oil changes, fluid checks, tire rotations, and more. If it’s time for factory-scheduled maintenance, schedule an appointment online and we’ll be in touch to confirm your date and time. Of course, sometimes you need more than just routine maintenance. If you’ve just been in a collision, you want to make sure your vehicle is in good hands, so you can get back on the road quickly. Our certified collision center prides itself on performing quality repairs using genuine factory parts. Plus, we’ll work directly with your insurance company, and we stand behind our work with a lifetime guarantee. Dealer near Jenkintown PA: Visit Today! 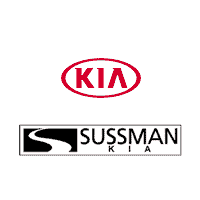 Sussman Kia is excited to join you in your car-buying journey and start a relationship that will continue long after you drive your vehicle off our lot. Browse our website to learn more about our dealer near Jenkintown, PA, and feel free to call us with any questions. We hope to see you soon!